NFL Quarterback Club '96 (ＮＦＬクォーターバッククラブ'９６) is an American football game by Acclaim for various platforms including the Sega Mega Drive, Sega Game Gear, and Sega Saturn. 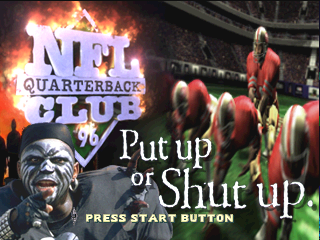 It was followed by NFL Quarterback Club '97. Main article: NFL Quarterback Club '96/Magazine articles.